Staccato. 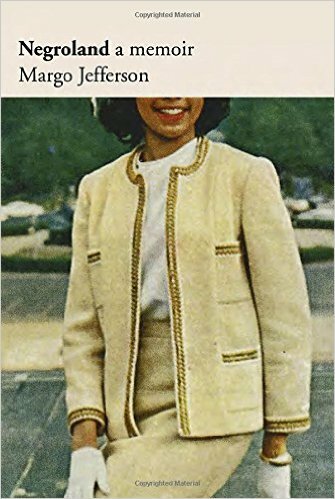 Longtime book and theater critic Margo Jefferson turns her critical eye toward herself and her life in a finely written book titled, Negroland: A Memoir. Readers looking for a flowing narrative proceeding from childhood to the present will be surprised by the staccato style that Jefferson uses to convey her observations about class, race, relationships, gender and society. Like the way our memory works, Jefferson leaps from one recollection to another in no particular sequence. As a white man from a working class family, there’s not much I have in common with a black woman from a wealthy family. Yet, I read each page with interest. She observes and analyzes the tension that has dominated her life. She welcomes readers into a world few of us have experienced or may understand, and allows us to learn new things about human nature. Rating: Five-star (I love it) Click here to purchase Negroland from amazon.com. More. Just when I assumed there was nothing new to learn about Richard Nixon or Watergate, who comes back with more information? 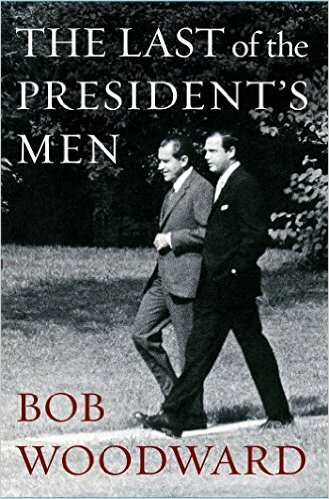 Bob Woodward, of course, in a book about Alexander Butterfield titled, The Last of the President’s Men. Those of us who watched the Watergate hearings recall noticing Butterfield for the first time on the witness stand when he disclosed the presence of listening devices in the White House and tape recordings of conversations. Thanks to files kept by Butterfield and Woodward’s fine research and writing, readers interested in this aspect of history have new information to consider about the Nixon presidency. Rating: Four-star (I like it) Click here to purchase The Last of the President’s Men from amazon.com. Grief. I was familiar with Jonathan Kozol from reading his books about poor children and education many years ago. 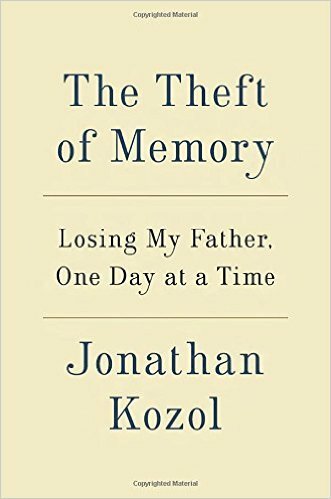 From the title of his new book, The Theft of Memory, I expected a personal story about dementia and its toll on patients and caregivers. Instead, I found a finely written tribute by a loving son to his father, marked by feelings of loss and grief. Dr. Harry Kozol had a long career as a renowned neuropsychiatrist. Thanks to the fine writing of his son, Jonathan, readers can learn about his life and death. It no spoiler to say that Harry’s life from ages 88 to 102 involved decline. Rating: Four-star (I like it) Click here to purchase The Theft of Memory from amazon.com. Mothers. A memoir presents readers with some particular challenges. Is the writer an individual whose reflections about life are likely to interest me? Is the writing of such good quality that I will be delighted? Is this a life so similar to or so different from mine that I will be intrigued? 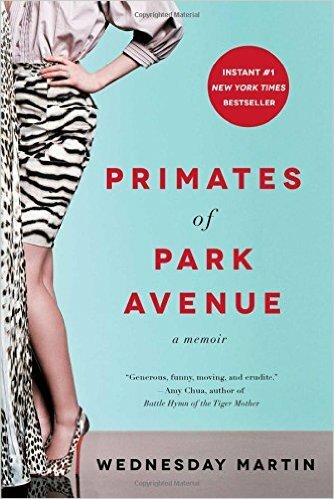 Before a reader selects Wednesday Martin’s book titled, Primates of Park Avenue: A Memoir, consider those questions. Martin writes about her experience as an outsider trying to belong to an insular community on the Upper East Side of Manhattan. She uses her background in anthropology to present the memoir as if she were reporting on her fieldwork as a participant-observer in a different culture. At times her writing is funny and at other times it can become a bit tedious. Readers who have read anthropological field reports will fjnd special delight in those inclusions in this book. For me, the memoir turned my heart toward Martin when she presented a personal tragic story and how that brought out the best in the members of the community. Rating: Four-star (I like it) Click here to purchase Primates of Park Avenue from amazon.com. Variety. When fans of Stephen King don’t have an unread big novel to read, there’s always a collection of his stories to savor. 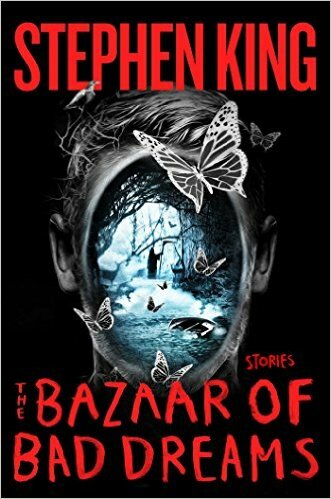 I enjoyed almost every story in his collection titled, The Bazaar of Bad Dreams. One I had read before, Drunken Fireworks, was even more enjoyable the second time around. The sheer variety of the stories in this collection will delight King fans. Through new stories or old, this author knows how to entertain readers, and there are hours of entertainment waiting for readers in this collection. Rating: Four-star (I like it) Click here to purchase The Bazaar of Bad Dreams from amazon.com. Rising. 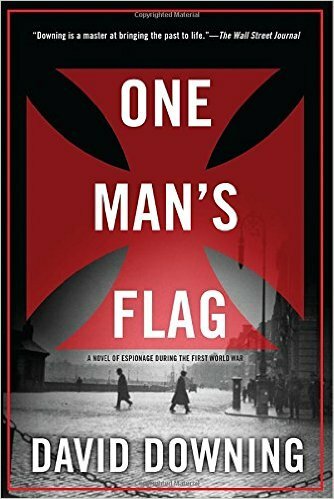 David Downing reprises characters Jack McColl and Caitlin Hanley from Jack of Spies for another spy novel set in the early twentieth century and titled, One Man’s Flag. Jack goes from India and its troubles to Ireland and its troubles, close to the time of the Easter Rising. Fans of spy fiction and historical fiction are those readers most likely to enjoy this novel and this series. Love and betrayal take many forms, as does loyalty. Downing explores those themes and others with great skill while providing readers with an entertaining plot. Rating: Four-star (I like it) Click here to purchase One Man’s Flag from amazon.com. Secrets. 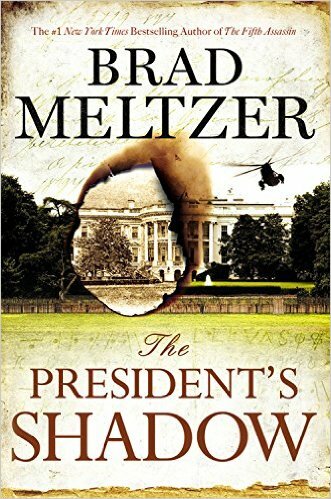 Readers who are pre-disposed to the idea that the Presidency and Washington D.C. are overflowing with secrets and conspiracies are those most likely to enjoy reading the third installment in The Culper Ring series by Brad Meltzer titled, The President’s Shadow. Over the course of four hundred pages, Meltzer blends some facts with fiction to create an impression that no one is ever to be trusted. Having read the earlier novels, I enjoyed the reprisal of characters, and I was inclined to surrender myself to Meltzer’s plot. I was entertained enough, thanks to letting myself yield to where Meltzer took me, no matter how implausible it seemed. Rating: Four-star (I like it) Click here to purchase The President’s Shadow from amazon.com. Violence. Some of us read novels to travel from our world to some other place. Others read novels for insight into human nature. Still others read novels because some writers find a way to capture some aspect of contemporary life and draw insight for us to consider. T.C. 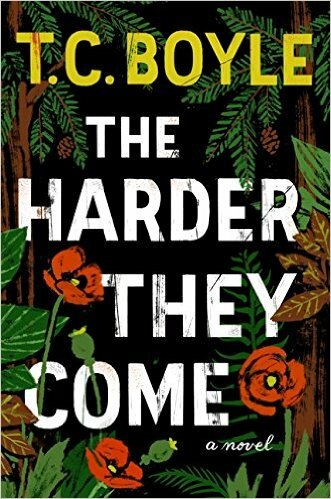 Boyle may please all those different readers in his novel titled, The Harder They Come. Boyle explores violence and alienation in this novel. A marine and Vietnam veteran kills a would-be thief while on vacation in Central America and is considered a hero for his actions. Upon his return home to Northern California, he finds that his son, Adam, has become delusional, and is in a relationship with an anarchist fifteen years his senior. What Boyle does so well in this novel is tap into the threads of anger, paranoia and violence in American society. Boyle’s skill at description and his fine prose will bring pleasure to many readers. His poking at self-reliance, gun violence, and anti-government paranoia will cause distress to some readers. Rating: Four-star (I like it) Click here to purchase The Harder They Come from amazon.com. Neighbor. Who is my neighbor? How well do I know them? How well do I know myself? What does it take to move from the sketchy outline of a relationship toward intimacy? 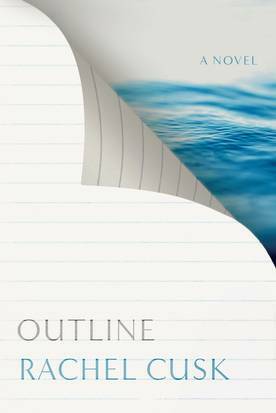 Structured as a series of conversations, Rachel Cusk’s finely written novel titled, Outline, explores those questions and others. Readers who appreciate fine writing will find much to admire in this short novel. Those readers who like cerebral fiction will also engage those little gray cells while reading and after finishing this novel. I was thoroughly entertained and engaged from beginning to end. Rating: Five-star (I love it) Click here to purchase Outline from amazon.com. Suspense. 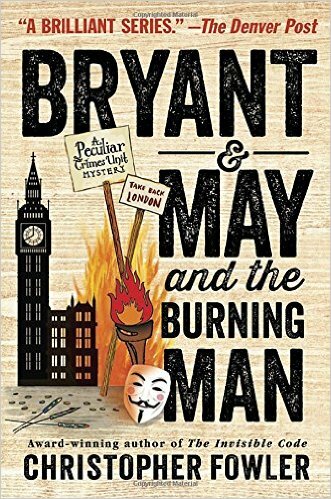 Fans of detective fiction are those readers most likely to enjoy the sixteenth book in the Peculiar Crimes Unit series by Christopher Fowler titled, Bryant & May and the Burning Man. Detectives Arthur Bryant and John May are quirky, curious and successful. Faithful readers of the series will enjoy both the continuity and aging of the characters. New readers could start here or anywhere in the series and enjoy a well-written mystery. The suspense develops gradually in this novel, and the pace may seem slow to those readers who enjoy fast-paced thrillers. Like a mature wine, this novel is worth savoring, not gulping. I was entertained and surprised by the plot. Rating: Four-star (I like it) Click here to purchase Bryant and May and the Burning Man from amazon.com. Comprehensive. 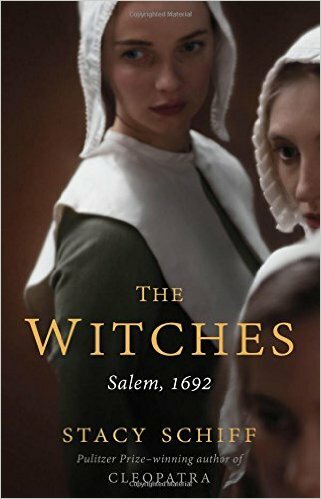 Readers who enjoy history presented after deep and rich research, and delivered in readable prose, are those most likely to enjoy Stacy Schiff’s book titled, The Witches. Schiff examines all the records she could get her hands on to relate to contemporary readers what really happened in Salem in 1692. Many of us think we know about the Salem witch trials, but I doubt few of us bring the perspective that Schiff offers. Any reader interested in this time period and this event should enjoy this book. Rating: Four-star (I like it) Click here to purchase The Witches from amazon.com. Loss. 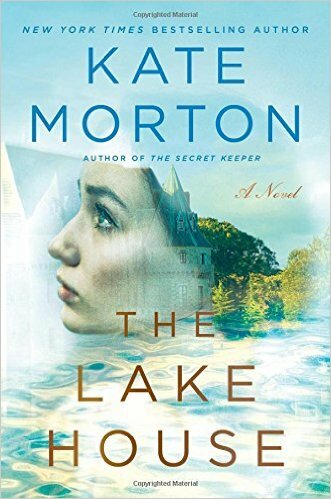 I thoroughly enjoyed reading Kate Morton’s novel titled, The Lake House. Set mostly in Cornwall, England, the novel alternates action between two time periods: 1933 when a young boy goes missing, and 2003 when a London detective finds herself staying under the radar out of town, and stumbles into an unsolved case that draws her in. Morton drew me in as the plot became complicated, and the themes of children, loss and kin were explored. Morton offers great characters that kept me turning the pages to discover more about their lives, their losses, and the solution to the mystery of the missing boy. Rating: Four-star (I like it) Click here to purchase The Lake House from amazon.com. Passion. I’m guessing that tens of thousands of novels will be published this year that will explore the theme of love. 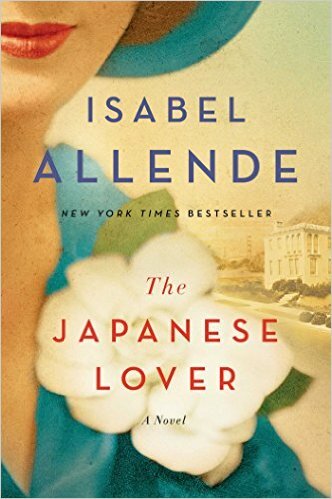 Few of those novels will be as well written as Isabel Allende’s novel titled, The Japanese Lover. With gracious lyrical prose, Allende offers deep insight into human nature and our propensity toward enduring love. Over the course of a brisk three hundred pages, Allende develops characters over decades of time, and captures the special dynamic of aging and love. Any reader who has loved and who has aged will delight in the recognition of love and the passing of time that Allende displays in this finely written novel. Rating: Five-star (I love it) Click here to purchase The Japanese Lover from amazon.com. Penance. 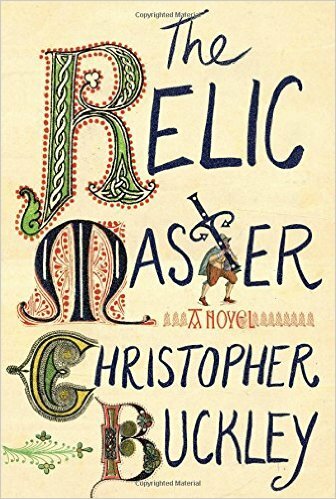 Contemporary social and political satire takes a holiday for Christopher Buckley as he turns his sights to the sixteenth century. Money and power are still great targets for Buckley’s wit in his novel titled, The Relic Master. The Catholic Church is selling indulgences, and relics are big draws for the peasant penny and the collections of wealthy patrons. The protagonist of the novel, Dismas, buys and sells relics, and one of his clients wants to procure a very special relic. Caught in deceit, Dismas incurs a penance that sets him on a mission to steal a shroud. Buckley blends historical characters including Albrecht Dürer and Martin Luther with fictional ones, and offers a witty and slowly paced plot that spreads the action and humor thinly over four hundred pages. Readers who are educated enough to know the circumstances of sixteenth century Europe and who enjoy satire are those most likely to enjoy reading this novel. Rating: Four-star (I like it) Click here to purchase The Relic Master from amazon.com. Chapman. Successful serial fiction meets the expectations of readers by presenting each new book in the series packed with the components that readers have enjoyed in prior books. 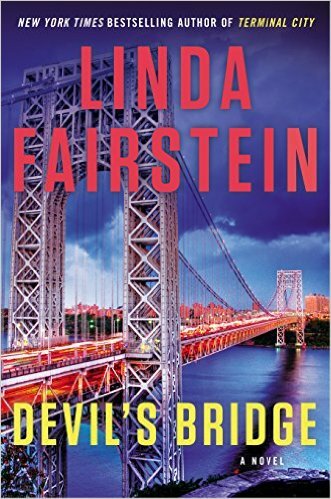 The seventeenth Alexandra Cooper novel by Linda Fairstein is titled, Devil’s Bridge. Fairstein delivers all the components I’ve come to anticipate and enjoy in this series: great characters, an engaging plot, and some interesting tidbits about New York City. The heavy lifting in the latest novel is carried by recurring character Mike Chapman, and it is through his mind and his eyes that the story progresses. Fans of this series are those readers most likely to enjoy this novel, as well as any reader who likes crime fiction. Rating: Four-star (I like it) Click here to purchase Devil’s Bridge from amazon.com.